Cottage Grove Speedway is a 1/4 mile dirt track located in Cottage Grove, Oregon. This is my home track and being that, it is my favorite! I figured no one would make it, so I decided to. I am about 50% done. im up in Sandy OR and i go down to Cottege Grove at least 5 times out of the race year. glad to see it on here. 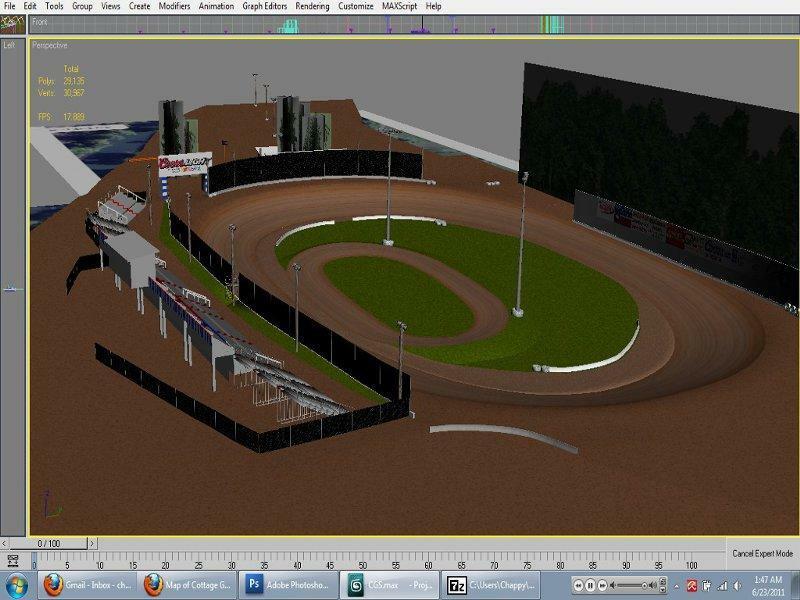 Are they planning to organize speedway this year too? If so what are the most probable dates for it? I will tell him you said hello. Forgot to add, tell FreeW that Comsyke says hi, I used to race with him on NR2k3 in the NSRS league. I thought it was funny that I saw his name on the credits for what is a local track for me but not him lol. I'm down in Roseburg and have been to the Cottage Grove track. I'm glad someone is making it. Any idea when you'll have it done? I live 30 mins from CG, I take my kids out there 2 or 3 times this past summer. I cannot wait for the completed track.